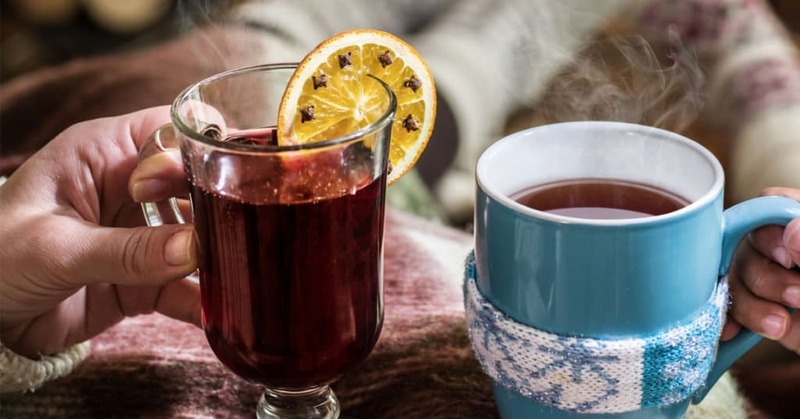 Are you familiar with the word Hygge (pronounced HOO-gah)? It’s been everywhere the last couple of weeks: in the New Yorker, the New York Times, and my personal favorite, this bitter article (in English) from The Copenhagen Post on how the British are leaving the European Union and taking the concept of Hygge with them. Bastards! Hygge is about feeling cozy and satisfied while the wicked world storms outside. But hygge doesn’t mean being cozy alone. Instead, it conveys a feeling of comfortable intimacy with the ones you love. You and your loved ones share a cup of tea and some comfortable conversation. I need that cozy feeling right now. Like so many of us, last year was not the best year for me. I started the year with a challenge I was not prepared to handle and even though everything actually worked more quickly than I could have imagined it seemed to set the tone for the year. An astonishing opportunity appeared only to disappear once I started believing it might actually come true. My poor son had three car accidents; none of them of his fault but all of them causing us financial distress. My commute to and from work, always a challenge, somehow got even worse resulting in a new normal of being on the road for at least three hours a day. I feel stressed just from writing all that! I obviously need to look at my life and see what changes I can make to minimize the regularly occurring awfulness, but I can’t stop the variable awfulness that intrudes on all of our lives sometimes. And sometimes, we just need to retreat to our cozy spot with a hot beverage to soothe our souls. So I declare 2017 the Year of Hygge! 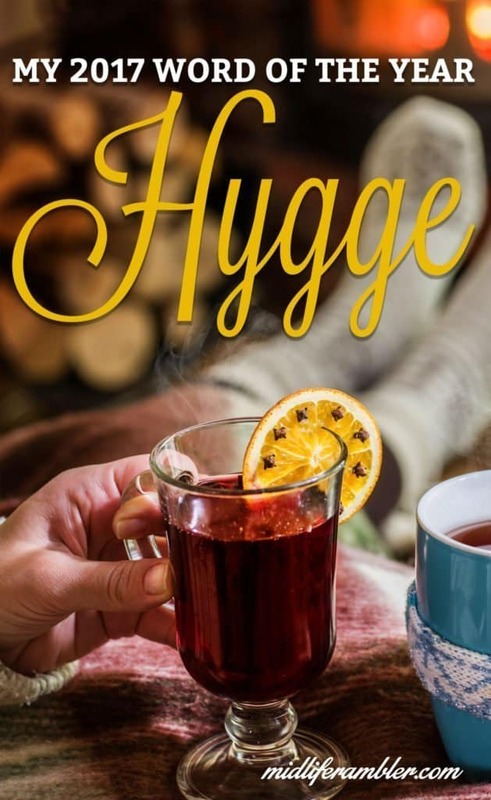 Tonight, I’ll light my candles, put on my thick comfy socks and my thick comfy sweats and drink my hot beverage while I sit with my loved ones and read How to Hygge, which arrived today from Amazon. What makes you feel happy and cozy? What’s your word for 2017? I’d love to hear. I love the word “Hygge” (now that I know what it means)! Last year was the first year since I was a teenager that I didn’t write resolutions. I also picked a few theme words. Last year, coming off a very chaotic 2015, my themes were “Joy, Simplicity, Stability.” This year, in anticipation of some upcoming changes, they’re “Courage, Optimism, Adventure.” Cheers to you and 2017! I love your words! Sounds like a very fun year. I had more chaotic years than 2016 but it still feels like a year I need to spend a bit of time recovering from so this year is a “take it easy” year. Here’s to having the new year we both envision! This is actually also the word I’ve chosen. This concept is one my heart yearns for, and I look forward to exploring it. I found your blog through a Pinterest search. It will be fun to journey together. Hi Marty – thanks for stopping by! I’m looking forward to “hyggeing” my way through 2017 and I’m glad to have some company. Thanks for stopping by! Hi Katy – As one of the only 5.7 million Danes I find it fun to see that a Danish word has managed to escape our tiny little country and make itself quite popular in other parts of the world 🙂 and I do hope you will have a lot ‘hygge’ in 2017. I enjoy reading your posts (although I seem to experience problems loading your pictures), as I think it is so important to give ‘midlife’ a voice. Hi Henriette! Thanks for stopping by! And thanks for letting me know about the pictures-I’ll see if I can figure out what’s going on with that. I checked out your blog and it’s beautiful. Followed you on instagram!